We'll get up to 3 contractors to compete for your project! Get referred to top French drain contractors in your area now! We do all that we can to minimize any risks during your renovations, while maximizing its success. Are you having issues with your home's French drain (commonly called a weeping tile)? Or, are you looking to get a new one installed? Getting your French drain installed by a qualified professional will avoid water infiltration or excessive humidity in your home. If you've been having issues with your weeping tile, delaying its replacement can result in greater issues, like damaging your foundation or having water damage in your basement. It's therefore crucial to get an experienced French drain contractor to do the job. Plus, if properly installed, the work can last up to 25 years - making it worth the investment. We'll gladly help you find the right contractor for the job in your area! Our French drain contractors have all been through our 360° Verification process, so you're sure to get a well qualified contractor to work on your weeping tile. We've taken care of ensuring they have a valid license, liability insurance, are financially stable, and much more. You won't need to worry about your chosen contractor scamming you and running with your money! We've created this verification process to mitigate any risks you might be facing when undergoing a renovation! Our Renovation Advisors are highly knowledgeable on French drains and will ensure to refer you the right contractors for the job. They'll get you up to 3 quotes and be there every step of the way if you have any questions! Their service is at no cost, no obligation to you. Get your 3 free quotes! Why hire a French drain contractor? First and foremost, you'll need to hire a contractor that specializes in foundation repair so that he can give you a proper diagnostic on your foundation's condition and your property's structural integrity. He'll determine the best way to go about installing your French drain, as well ensure its proper placement. A french drain contractor is specialized on many fronts: insulation, waterproofing, exterior coating, and more. Depending on your location, their licenses change, however, they must all have knowledge about these factors to properly install your weeping tile. Going through with the installation requires many steps: evaluating the work to come, scouting the situation, excavating, preparing the trench, putting in the drain, replacing or installing a waterproofing membrane, and covering everything up. The excavation process might seem like such a simple feat, however, it has to be done with a delicate touch. Ensuring not to nick any important elements beneath your home, like the inlet plumbing pipe, cables, etc., is one of the tasks your contractor needs to complete. Though, they're well equipped to do so. When people opt for installing their own French drain, not only are they ill equipped, but they also don't prepare the trench properly. Specialized contractors know exactly which materials to use to ensure everything goes smoothly. Specific knowledge, such as ensuring there's a slant to ease the sump pump's work, is required. 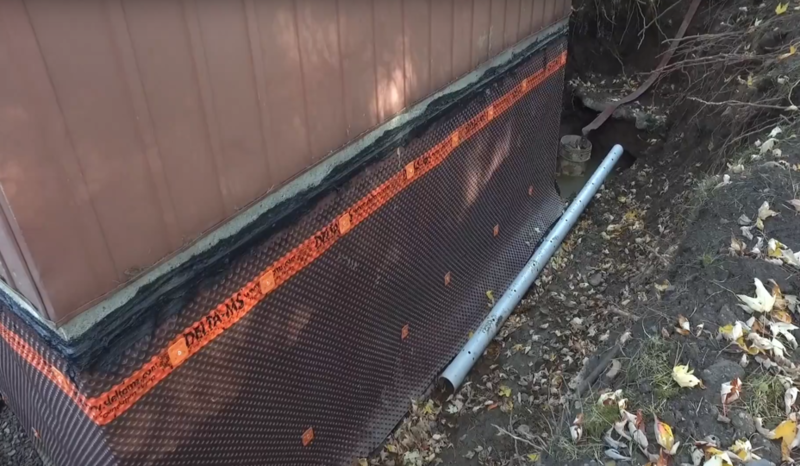 Basically, a French drain contractor has the proper licenses, as well as liability insurance if ever something goes wrong. This kind of major renovation is worth the investment as it'll last over 25 years if well done. Don't risk losing thousands of dollars by getting it done by an amateur! Being well prepared when meeting a contractor is always a great idea. By speaking with them, you'll get a feel about whether or not they're the right fit for your project. The rapport you build with contractors will reassure you that your project is in the right hands. To help you out, we've put together some questions you can ask the French drain contractors you meet with. How long will each step of the weeping tile installation process take? Who will be my main contact throughout the renovation process? And, who will be supervising the worksite? How many subcontractors/employees will be involved in the process? What's included in the quote you will be providing me with? Will I need to prepare the worksite ahead of time or will your team take care of this? Is debris disposal included in your quote? Will you take the proper precautions to protect my property? Is it possible to get past client references? How long have you been in business with this business name and license number (if applicable)? Go ahead, ask them any question you believe is relevant to the job! Being vigilant is well worth it. How much does a French drain contractor cost? A French drain contractor will charge anywhere between $12,500 and $22,500 for a full weeping tile replacement/installation. This includes, excavation, installing the waterproofing membrane, cleaning the premises, etc. Essentially, this comes out to about $100 to $150 per linear foot - depending on obstacles that they might need to get around, like a deck. To learn more about costing, take a look at our French drain cost article. Getting your weeping tiles installed poorly can create many costly issues to your home. That's why finding the right French drain contractor is of utmost importance. Each one of the contractors we work with has undergone a rigorous verification process to ensure we only work with the best! All our contractors are 360° Verified, so getting in touch with us will put you one step closer to finding the best contractor in your area for the job! Are you ready to get free quotes from top French drain companies ? At Reno-Assistance, we put up to 3 Verified Contractors up against one another to compete for you renovation project so you're sure to end up with the best possible price. For each contractor you meet with, you'll also get their full verification report. Our Renovation Advisors will gladly assist you throughout the entire process at no cost, no obligation to you. They'll help you make an informed decision on which contractor would be the best fit for you. In an industry where less than 1% of people trust their contractors, Reno-Assistance has received a great satisfaction rate - proving how valuable such a service can be when it comes to getting renovation work done! "What great service & fantastic way to save time that would otherwise be used in project management. All we need to do is state our expectations to one person (Mario was our go-to) and they'll go out and find contractors capable of doing the work. Excellent work was done by recommended contractors twice this year! From quality to competitive pricing. 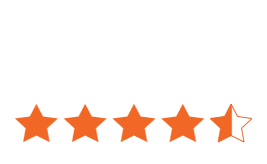 Thank you"
"For clients or customers that are doing renovations, it's basically awesome!" 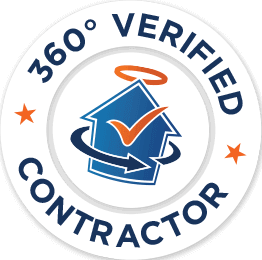 We've got hundreds of 360° Verified Contractors working with us! Let us help you by rallying up to 3 French drain contractors to compete against one another for your home's project. Only those that we believe are best suited for your renovation will be referred to you. We're confident we'll find the right French drain contractor to replace your weeping tile! This is a great day for outside construction projects!